The guitars in the Fender Custom Shop Prestige Collection on display at the 2016 NAMM Show are breathtaking, simply put. The offerings from Fender’s stable of Master Builders drew countless admirers throughout the event this week at the Anaheim Convention Center, as guitar aficionados and music lovers got to see the likes of Yuriy Shishkov’s Music Repeater Tele and Dennis Galuzka’s 66 Blue Moto P Bass. Master Builders Todd Krause and Jason Smith also had works of art in the Prestige Collection. 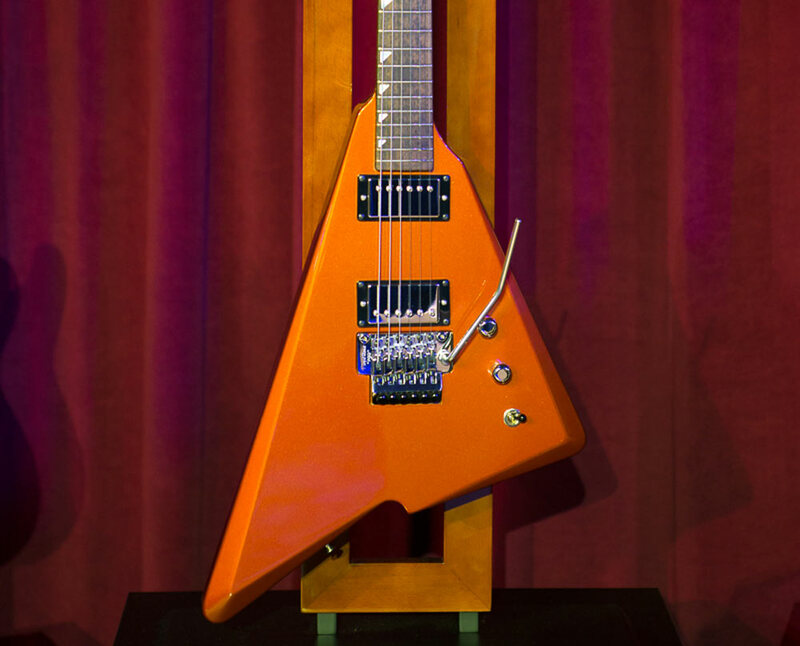 Krause chose to honor the 1980s Fender Katana with a modernized version boasting a striking “Mango Tango” color scheme. “It’s something I’ve been threatening to do for many years,” Krause joked. Meanwhile, Smith’s Claro Walnut P/J Bass is not only a beautiful instrument, but it is also wired for an aggressive tone. “I always try to push the limits of what our traditional wiring is,” Smith explained. Learn more about these two Prestige Collection instruments in the videos below.